When Singapore became independent a little more than 50 years ago, the small and resource-poor developing country originally had little chance of survival. Today, the city-state has risen to become the economic hub of Asia, and is mentioned alongside other financial centers such as New York, Hong Kong and Tokyo. Now its financial sector is facing new challenges and rapid digital progress, with technologies such as blockchain and 5G, which will have an even greater impact on it in the foreseeable future. Financial technology, or Fintech, has experienced rapid growth in recent years. In addition to combining traditional financial services with technological solutions, Fintech also unites e-commerce, infrastructure service providers and telecommunications companies under one roof. 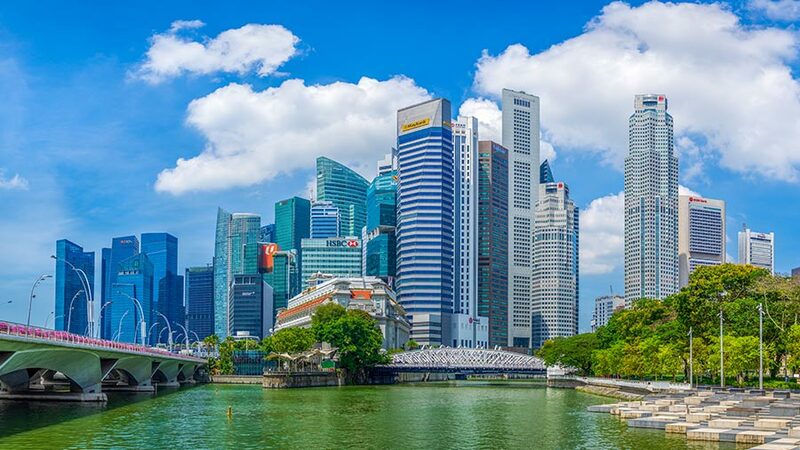 While investment in the Fintech sector in Asia generally tended to decline, according to Fintech Global statistics, investment in Singapore reached a new record high of US$ 365 million in 2018. By comparison, the investment was US$ 20.8 million in 2014 and US$ 229.10 million in 2017. This rapid growth is due in particular to the excellent environment Singapore offers to the Fintech sector. In addition to a high per capita income and an excellent infrastructure, the country also offers an ultra-high-speed fiber optic network, which has helped Singapore, to achieve a download speed of up to 55.52 Mbps, ranking first in a worldwide comparison of the fastest broadband connections in 2019. Furthermore, the growth of the Fintech sector is facilitated by various policy initiatives, tax incentives and a favorable regulatory environment. Although there are no specific regulations governing the Fintech sector in Singapore, certain financial services provided by Fintech companies fall within the scope of existing regulatory systems in the banking sector. Companies wishing to invest in this sector should therefore urgently examine whether they fall under one of the current regulatory systems, e.g. the Banking Act, the Insurance Act or the Financial Institutions Act. Responsible for the supervision of Fintech companies is the Singapore Monetary Authority. In recent years, this organ has helped Fintech companies to test promising innovations on the market. The so-called “sandbox” is one instrument that enables Fintech companies to experiment with innovative financial products and services over a certain period of time and within a controlled environment. The main advantages are the ease of the legal and regulatory conditions during the time in the sandbox and the protection in case of disturbances or the failure of experiments. Companies wishing to apply for the sandbox must use new or emerging technologies, or use existing technologies in an innovative way and go through an application and evaluation process with the Singapore Monetary Authority. Upon completion of the “sandbox phase”, any easing of legal and regulatory requirements will be lifted and companies must fully comply with all regulatory requirements. In addition to this, Singapore’s central bank began rolling out initiatives to support Fintech companies as early as 2017. Alongside the conclusion of cooperation agreements with the Massachusetts Institute of Technology (MIT) and other institutions in the United States, South America, South Korea, Australia and Hong Kong and the development of a cross-border platform for commercial financing using blockchain technologies, the Singapore Monetary Authority also provided US$225 million for the development of Fintech projects. In parallel, “Fintech innovation hotbeds” such as the “80RR Fintech Hub SG” are increasingly being built in Singapore. In 2017, the approximately 100,000 square meter large office building was opened in the heart of Singapore’s business district and has since housed both international and local Fintech companies and start-ups. “We are very excited to support and promote the rapidly developing Fintech sector by providing an innovative environment and premises at competitive prices for start-ups and other Fintech companies,” said an 80RR spokesperson. Besides the examples above, there are many other programs and opportunities for Fintech companies and start-ups in Singapore that make the city an attractive investment destination. What repeatedly hinders the development and implementation of Fintech, especially in European countries, are the concerns of users regarding the security of such Fintech solutions. Experts see a solution to this confidence problem in the development of “blockchains”. The blockchain technology was originally developed to store and send the first crypto currency, Bitcoin. With the development of technology, however, it has also established itself worldwide for other purposes, in particular as a means of increasing cyber security. Blockchains are decentralized databases, that are often referred to as digital ledgers, which chain a continuous list of data records by using cryptography. The special feature of this new technology is the ability to store and manage information of any kind, rather than on a central server, distributed on various computers, similar to a publicly accessible database. It is precisely this particular feature that makes it possible to increase cyber security. By publishing every transaction, including even the smallest details, an enormous transparency is created between transaction partners, which offers all stakeholders a high level of security and better protection against hacker attacks. In this way, the blockchain technology is able to close basic security gaps. In 2016, Global eTrade Services (GeTS), a subsidiary of CrimsonLogic, launched the Open Trade Blockchain (OTB), the world’s first cross-border blockchain for trade between ASEAN and China’s digital silk road. With the help of such blockchains, global trade can become more efficient, secure and transparent, and sectors that depend on cyber security and transparency can benefit from it in the future. It is easy for foreign investors to invest in Singapore’s fintech sector as there are no particular government restrictions. In addition to the attractive environment that Singapore offers for growth and innovation for both local and international Fintech companies, the financial metropolis also serves as a gateway to Asian markets, especially the ASEAN states. For example, the company Grab, which was founded in Singapore and offers carpooling services, delivery services and logistics services via an App, is enjoying increasing popularity in some Southeast Asian countries such as Vietnam, Indonesia, Malaysia, Thailand, Myanmar and Cambodia. In some of these countries it is now possible to pay conveniently via smartphone with the “GrabPay” app launched by Grab in 2016. These markets, however, have very underdeveloped Fintech sectors, which offers various opportunities for investing companies. The entire ASEAN region has a population of over 625 million, much larger than the EU with 504 million and the United States with 319 million. According to Fintech Global statistics, Singapore replaced Hong Kong as the leading Fintech hub in Asia as early as 2015 and was able to attract almost twelve times as many investments as Hong Kong in the first half of 2018. This is due in part to the simpler regulations in Singapore compared with Hong Kong’s multi-level regulatory structure. Singapore has set itself high goals and wants to establish itself as the world’s greenest city as well as the capital of Asia. Already today, the small city-state, which its inhabitants trivially call “The Little Red Dot”, is increasingly referred to as the city of the future. With various political incentives and an attractive investment environment, the city offers outstanding opportunities to become a global Fintech haven.